Over this past summer, College Aca heavily followed multiple groups from the UK and surrounding areas all taking part in BBC's brand new vocal competition "Pitch Battle." One group who left quite an impression on us was the all-female dynamos The Uptone Girls from the University of Birmingham. While on the show, the band covered an enthusiastic and hip rendition of "Changing" by Sigma featuring Paloma Faith. The performance was one worth watching over and over again. 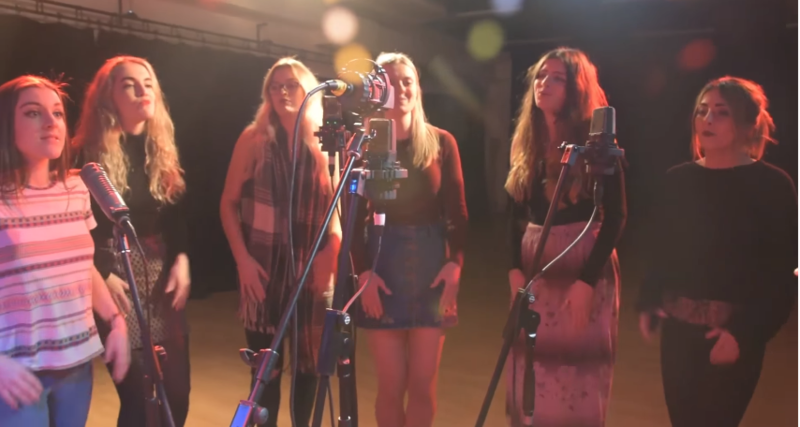 In today's #WCW, The Uptone Girls combine their signature cover from "Pitch Battle" with three other stylish renditions of hit tracks by The Fugees, Wilkinson and Rudimental into one massively impressive video simply titled "Drum and Bass Medley." The entire piece works masterfully as a whole with its strong underlying tones of indie pop and electronic influences, executed effortlessly by the warm vocals of the entire group. Enjoy their take on these new and old tracks and check out more from the ladies on their YouTube channel.